This week I had one of those silly setbacks (of my own making) that had me adrift for a day or two. It wasn’t anything really. Just the sad feeling that I wasn’t getting a big project done that I’d promised myself I would complete by the end of June. I kept procrastinating. Everyday I found a half dozen excuses not to spend time working on it. I started two other projects rather than finish the one I’d already committed to finishing. I was mad at myself, impatient, and cranky. Finally, I decided to share my frustration with my wonderful Creative Playmates circle. And guess what? I discovered it’s a problem most other creatives share. We get excited about a new art technique, a fancy new art supply, the inspiration of a recent art journaling YouTube video. We have a deadline for completing a special birthday card or creating a little project for the grandkids. We have three big canvases half started, an altered book in progress, a collage just waiting for that last, perfect piece. And we beat ourselves up about it, mad at our lack of ambition, sad at our inability to follow through–which, of course, doesn’t help at all! Sometimes I try to trick myself into creativity. If my art space is messy, I spend some hours clearing and refreshing it. Even if I don’t get anything else done, having a tidy studio feels good! But sometimes I just can’t quite capture my original enthusiasm for a project by the time I’m ready to start it. And, sometimes, I just plain want to stay in my jammies all day, read a good book, watch an old 50’s black & white movie, or take a nap with my Sweetie instead of working on a project. What I’ve learned over the last few months is that these periods are just the normal ebb and flow of the creative process. We all need respite, little mini-vacations, moments not scripted by our day planners. We all need to give ourselves permission to nap on these sweltering summer days. And sometimes doing nothing is just the right thing to do! Sometimes taking our art supplies out into nature ignites our creative energies again. Sometimes nature itself is the inspiration. Sometimes the work of other artists inspires our own. The important part is to just go with the flow, be gentle with yourself, leave tasty, sweet chocolate cake crumbs for your Muses and follow them into the magic that is creativity! So here’s my hot summer advice. Go with the flow…step into it…let it carry you where it will! Enjoy the journey! P.S. 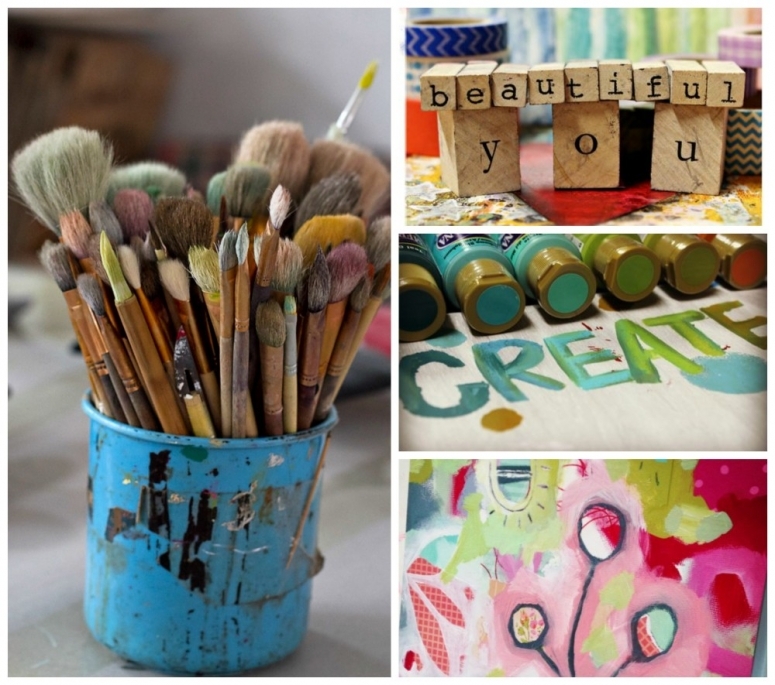 Thanks to Flora Bowley for various pictures and much inspiration in my life! Summer in Tucson, Arizona. Temperatures in the 100’s. Utterly sizzling days that don’t cool off much at night. Glaring light. Shriveled plants. Too hot to go out and play. Too hot to work in the garden. Too hot. Tooooo HOT! I HATE summer in Tucson, Arizona. My spirit shrivels with the plants. I’m a transplanted California beach and mountain girl. I need green. I need large bodies of water. I need shade and cool and spending my days outside. I need kayaking on the river with my beautiful sister Kim. I need playing at Ocean Beach with my pals Marnie and Karen. I need anything but this sweltering, unrelenting HOT!!! But I’m here. I live here with my Beloved in a little house that is full of love and laughter and good times. My wonderful Creative Cottage is here where my amazing friends come to create. The Girlz With HeART are here to bless me every day with their optimism and joy. This is where I am! Here. Tucson, Arizona. And for many months a year it is the most wonderful place in the world to be. But summer makes me forget all that…I dread it coming, I complain when it arrives, and I grouse every day that it goes on. It happened last Sunday morning. My Sweetheart and I were out before dawn to get the watering done before it got too hot. We discovered our ceres cacti were in radiant bloom! We’d been watching the buds form, checking the status of their plumping every day. But it’s always such a delicate dance–did we get rain at just the right time, are the night temperatures warm enough, will all the elements come together for their amazing bloom? And that morning, magically, dozens of them burst open to enchant us in the cool morning air, the hour of golden rising light. and the quail happily bopping around. We marveled at the cardinals, curved bill thrashers, doves, and finches celebrating at the feeders. We delighted at the antics of the young road runner. It takes two hours every day, working together, to keep our lovely oasis afloat but it is soooo worth it. All this long, hot summer, I will remember the fragile blossoms and their soft perfume. It’s all about making peace with what is. Being grateful for what is. Being attentive to what is. Celebrating what is! We love our small, rural, universe that embraces the natural world and her creatures. We find these moments here so nourishing and we feel so blessed to be able to share them. The world seems an increasingly dangerous and unpredictable place. Often people seem oblivious & unfeeling–if not downright hostile & unkind. We are getting older and more rickity. We live on a very frayed shoestring that barely covers expenses. Our days of significant travel, summer vacations, or new possesssions are long gone. But we are blessed. Beyond measure. We are blessed. By this little island of sanctuary. By our friends and critters. By our love for one another. Blessed! Keeping looking for the Magic. Keep finding moments of Joy. Come play at The Creative Cottage. © Copyright Kaitlin Meadows 2015. All Rights Reserved. It’s not so much about art-it’s the PROCESS OF MAKING IT, LIVING IT, BEING INSPIRED BY IT! 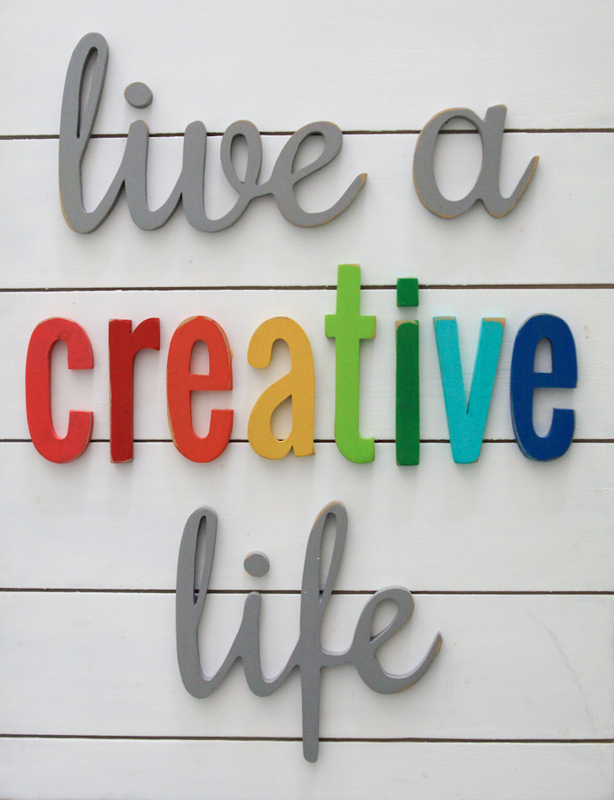 Creativity in any and all forms stretches the heart, expands the soul, thrills the senses, and nourishes the spirit. After my recent sudden, humbling illness, I realized life is too short to fritter away doing anything less than LIVING VOLUPTUOUSLY! So…I dragged out my paint box and had soooo much fun painting backgrounds for a new art journal I’m going to work on all summer long. I didn’t wait for inspiration, I just jumped in, slathering my favorite colors (purple, aquamarine, cobalt, and lime green) around the pages–layering decorative papers, old maps, and bits of fabric through the journal. More of everything is sooo much better! Hours flew by and my heart was overflowing! I felt totally “in the moment” and none of the cares of the world intruded. My creativity is not so much about art making as it is about LIFE MAKING! I want my whole life to radiate juiciness, excitement, JOY! I love that my home reflects my creative soul. I’m so happy that The Cottage mirrors my creative spirit. Life is luscious! Go out and celebrate it! Come to The Creative Cottage to play and laugh and enjoy this wonderful, amazing, creative life with other amazing, joy-filled, luscious women! 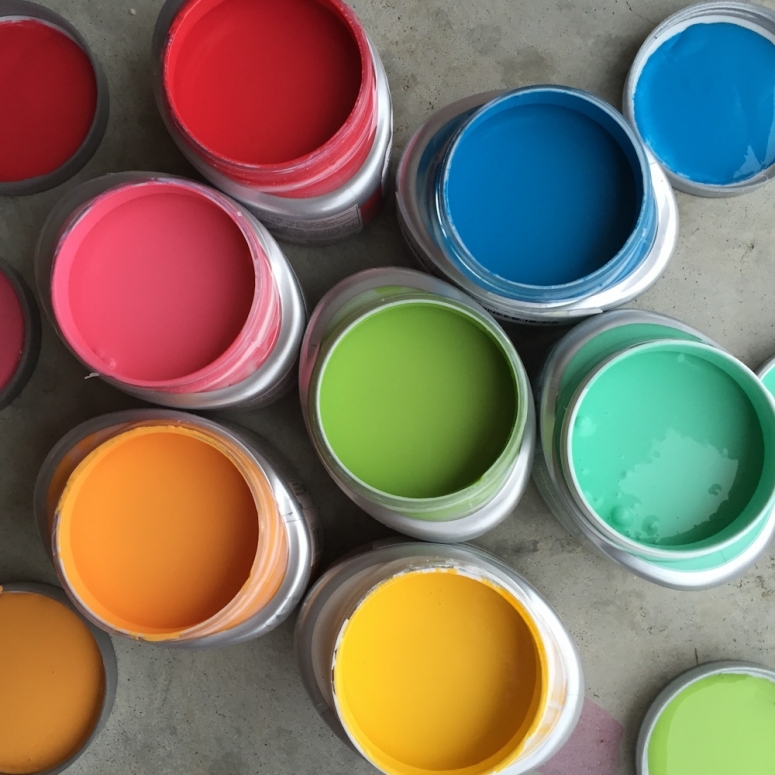 Happy Summer–Time to Play at Creativity Camp at The Creative Cottage!!! Whooooosh! I don’t believe I’ve ever been so ill! One day happy, full of energy, my calendar full of fantastic stuff to do…and overnight, out-of-the-blue, WHAM!!! Knocked flat!!! No warning. No tags back. Five days of impossibly high fever, constant retching, zero energy, unable to keep even a tiny sip of water down. It was all I could do to just hold onto the edge of the wildly spinning planet for dear life! Amazing how all of one’s totally vital plans, absolutely essential meetings, and incredibly crucial comings and goings just fall away! After the initial waves, the resulting chaos, and the very slow recovery, I had me-self a good, hard think on my life. I’ve been burning the candle at both ends (and sometimes in the middle too!) for far to long, all the while dispensing such lovely platitudes about slowing down, letting go, taking more time to play. I meant to take my own advice. I did. I really did. But I hadn’t quite gotten ’round to it yet! Daaa! Well, being curled in a fetal position for a week really made me rethink my options. I promised myself (if I ever stopped retching!) that I’d change up my life. So over the weekend I did. Finally. At last. Long overdue but never too late! I’d spent a solid month getting the Girlz With HeART mentees (sorry, that sounds like a herd of small manatees) through their end of school year testings and graduations. They are wonderful, lively, energetic, needy, demanding, fantastic young women but I’m getting dangerously close to 70 years old and I’ve just plain run out of energy to be the center of their universes. Vain glorious proud me believed no one else would be up to the task. No one could do it as well, as passionately, as selflessly as ME. Silly woman! So, armed with my new sense of humility (and human frailty! ), I finally fashioned a larger consortium to take on the most acute responsibilities and challenges of my Girlz With HeART program. It’s been a very interesting (and humbling!) process letting go of total control. I’m thrilled with the new, young, excited souls who have stepped up to add their own wonderful energy and vision to the day-to-day intensive summer months with the Girlz for me. The work, the solace, the mentoring, and the creativity will go on–re-inspired, re-enthused and I will get a little break! I am so grateful! The upshot of this sudden bout with mortality (geez–after a week of constant barfing, the word “upshot” makes me a little nervous!) was a huge lightning flash of revelation about ways I want to re-sculpt my life. Having the luxury (well, more like the occasion) to have a few days to think about my life, I decided to apply the lesson of “letting go” to several other huge responsibilities. I won’t bore you with the details–suffice to say there will be a lot more FUN and NAPS and PLAY and HOMEBODY TIME in my life!!! I’ll have time to watch things bloom–to read a book–to giggle with my Sweetheart! 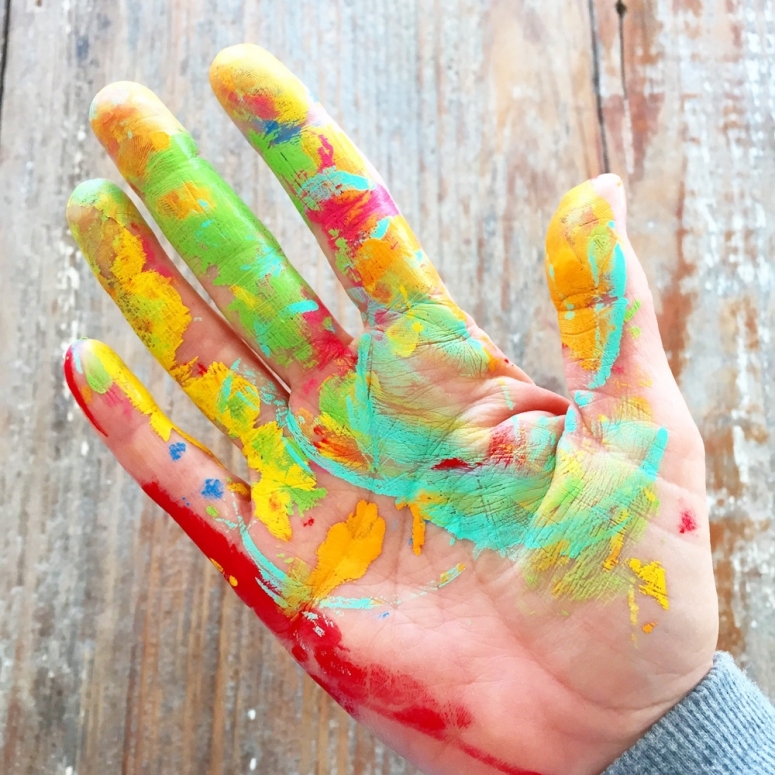 So check out my June & July Creative Cottage classes (click on the Cottage Classes tab at the top of the blog) and come play…let’s share our creativity and practice enjoying our lives together! A thousand, million, trillion “thank you’s” to my fabulous husband Albert who cared for me so lovingly and thoughtfully! Thank you, too, all for your cards and calls and wonderful well-wishes! You bless me with your love! Welcome to a summer of fun at Katlin’s Creativity Camp! !